Muriel's studio is situated in Greystones, Co. Wicklow, Ireland. Set in quiet picturesque surroundings beside the sea and nearby Wicklow hills makes it the perfect setting for creativity. 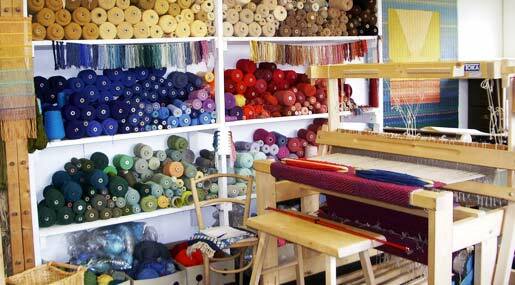 The studio houses four hand weaving looms, a wide range of yarn and a selection of wall hangings and floor rugs, which can be viewed by appointment.